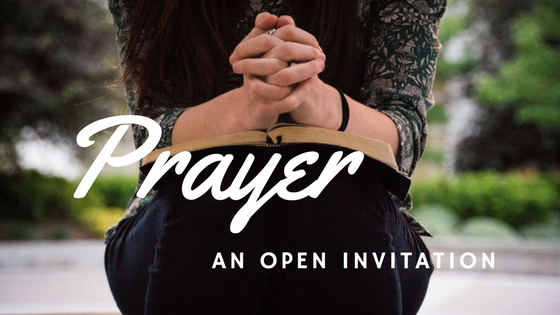 There can be huge gaps between our knowing and doing when it comes to prayer. I hope we are like Jesus’ disciples honestly asking Him to teach us in this area. The disciples were not unfamiliar with praying. After all, these were Jewish boys. They would already have been taught principles and patterns for prayer. Some were originally followers of John who also taught on prayer. So what made the prayers of Jesus so different from every other prayer they had heard to this point? That remains my question, too! When I first became a Christian I wasn’t allowed the privilege of a bible or the liberty to attend a church. Without these two key elements in my life, prayer became my sustaining force. I had no “spiritual” mother or father to pattern from or teach me. I knew God was real. Not just real from a distance, but real in my life. Instinctively I knew He wanted to be involved and connected to every part. I heard someone say once, “The steadfast love of the Lord is your compass point.” His unfailing love is the “true north” that is the guiding light for all disciplines. No one loves as deeply as the Heavenly Father! we are not consumed, for his compassions never fail. Have you ever had a conversation with yourself? I have! Gets boring really fast! Prayer is simply conversation with the Father. That means there are moments of both listening and speaking when we pray. Prayer has two directions, us to the Father and the Father to us. As with most conversations, it is helpful if I listen first and speak second. Listening begins as I mediate on The Word of God. Faith rises as a scripture comes to mind and I sense Him nudge me, “Try this one“. I guess I’m not the first one to have trouble with this two-way conversation thing of prayer! I’m so thankful the Holy Spirit is there to help us in learning process. Holy Spirit steps in both for us and with us. We’re not alone. I know what I have written is only the beginning concepts of prayer – simple grounding principles. Another fundamental to be added is an assurance that God delights to answer. My first prayer for you today is for you to have a new confidence to hear and receive from God. The second is that prayer would become so filled with special prayer moments that your life becomes a continuous flow of listening, talking and receiving from God. Lastly, may prayer become an amazing opening into a new adventure with The One who longs to spend time with you. If you want to be sure to never miss a blog, sign up here and be part of our growing list of subscribers.